The controversy surrounding Russian involvement in last year’s presidential campaign continues to swirl, with fingers being pointed back and forth between Donald Trump and Hillary Clinton. Evidence keeps being bandied about, including the dossier compiled by Fusion GPS. And John McCain, who played a crucial role in the dossier being released, is refusing to answer questions. John McCain passed the dossier on to former FBI director James Comey last year. The dossier alleged that there were secret contacts between the Trump campaign and Russian operatives. It also claimed that Russian intelligence had compromising information on Trump. Comey allegedly used the dossier as his excuse to investigate Russian interference in the election. Last week, it was discovered that the Clinton campaign, along with the Democratic National Committee, helped fund the research contained in the dossier. The information has since been discredited. Yet McCain has refused to answer questions from Breitbart staffers on how he obtained the dossier, or whether or not he was aware that the information had been paid for by the DNC and the Clinton campaign. In April of 2016, Marc E. Elias and his law firm, Perkins Coie, hired Washington firm Fusion GPS to do the research into Russian meddling. Perkins Coie, on behalf of the Clinton campaign, funded the research through October, just days before Americans went to the polls. Former intelligence agent Christopher Steele was hired to do the research itself. Buzzfeed eventually published the full, unedited contents of the dossier, while writing a disclaimer that they could not verify the information it contained. McCain denied leaking it to Buzzfeed, however. “I gave it to no one except for the director of the FBI. I don’t know why you’re digging this up now,” he said to the Daily Caller. Goldfarb worked as deputy communications director for McCain’s presidential campaign in 2008. 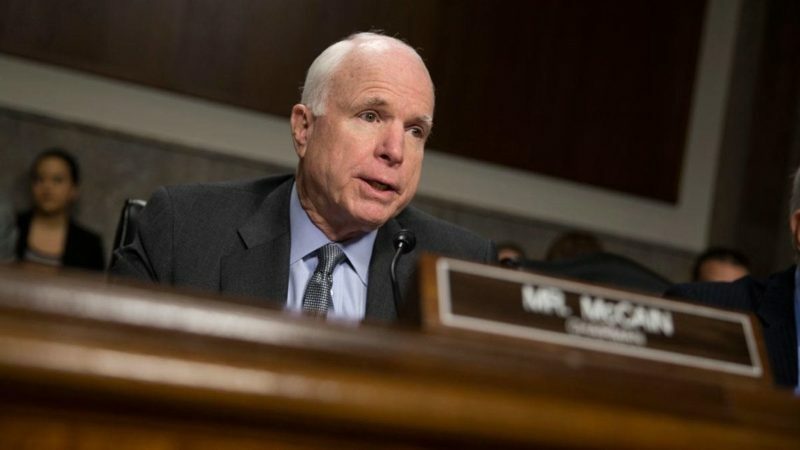 Sir Andrew Wood, a former British ambassador to Moscow, said that McCain had first consulted him about the dossier. “I told him I was aware of what was in the report but I had not read it myself, that it might be true, it might be untrue. I had no means of judging really,” he said. What do you think about McCain’s involvement?